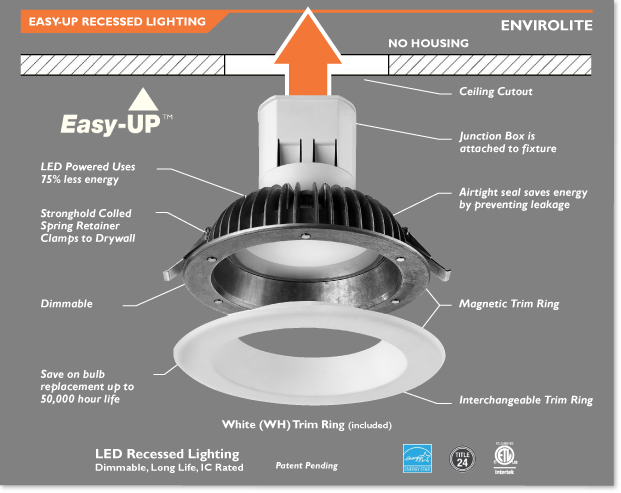 Easy-UP™ installs directly into the finished ceiling, eliminating the pain of working with remodel housings and cheap clips that break. Once you have run your wires, simply cut the whole in the drywall. Pull the wires through and connect to the junction box attached to the fixture. 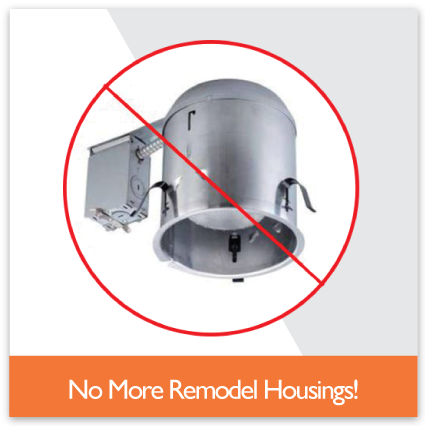 Use the spring loaded clamps to secure the fixture into the ceiling, and that’s it!